The students and staff at Great Falls are truly grateful for the support of our volunteers. Moms, Dads, Grandparents, and friends of Great Falls, who contribute their time and their talents, make our school a wonderful place to learn and grow! 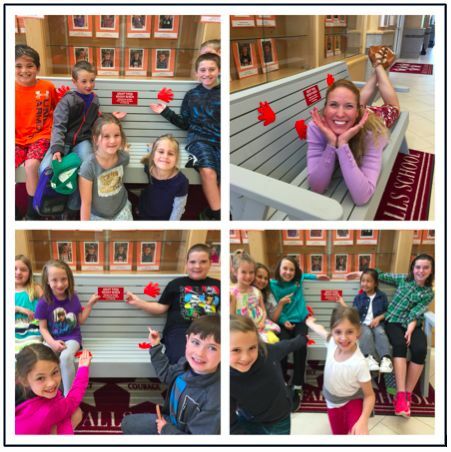 This year we have dedicated a Buddy Bench in honor and appreciation of our volunteers. This bench is designated for students who arenít sure who to play with, who to talk to, or who just want a place to think before joining in a group. Our Buddy Bench will be a place to meet new friends and find new ways to be kind to one another on our playground. We are proud to dedicate it to our volunteers! Kindness Counts at Great Falls!